Direct Method for English (DME) consists of 6 books that comes with a free CD with recorded lessons. Each book is divided into 7 or 8 modules and each module is divided into units. * DME textbooks come in printed versions and are not sold in bookstores, etc. 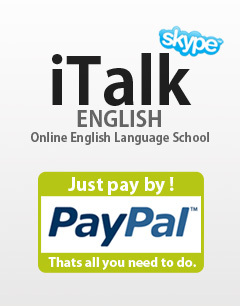 * The sale of DME textbooks is limited to the students of iTalk English School only. DME textbooks offer simple and easy-to-read page layout. New and important words that students must pay special attention to, appear in bold letters and are accompanied by their phonetic transcription. Furthermore, grammar lessons and their explanations are highlighted in grey. An audio CD is included in each book which is very useful in the preparation and review of students. It contains the new words, and the questions and answers recorded in MP3 format. Dictation exercises and audio samples of the pronunciation of vowels and consonants can also be found in the CD. DME CDs use both American and British native speakers so students will be able to get used to hearing American English and British English. * All CDs can be played using a computer, home CD player or vehicle CD player. Every DME book includes an audio CD as part of the set. In addition to the cost of books, shipping and handling charges will be added to the order total. The amount of these charges will depend upon the shipping destination. We deliver via EMS (Express Mail Service). Please confirm your details because there are some areas that are not covered by our delivery. For more information and to place orders, please Contact Us and provide the following information. You will receive an order confirmation email once you've placed your order. we will assume that you are no longer interested and automatically cancel your order. Purchase of DME coursebooks is limited to our paying members. 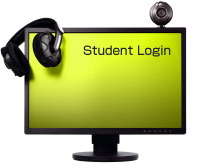 Non-members who wish to purchase need to sign up and complete course payment first in order to place an order. We accept orders via e-mail. Shipping usually takes 2 days after payment confirmation. Please note that delivery time can take up to two weeks depending on stock availability. PayPal is our preferred method of payment because it allows customers to send payments securely online using a credit card or bank account. So, if you don't have a PayPal account, sign up for your free PayPal account so you can send payments online. We will be able to send a request for payment via Paypal by entering the email address and the total amount due. Then, customers will get an email and instructions on how to pay using PayPal. We do not issue refunds once the order is accomplished and the books are sent. * Free trial lesson students do not need a textbook.